The AMA had the following to say about today's announcement by the FAA. "Today the FAA announced plans for a model aircraft registration process to begin next week. AMA was a member of the task force that helped develop recommendations for this registration rule and argued throughout the process that registration makes sense at some level but only for those operating outside the guidance of a community-based organization or flying for commercial purposes. Unfortunately, the new FAA registration rule does not include our advice. The rule is counter to Congress's intent in the Special Rule for Model Aircraft and makes the registration process an unnecessary burden for all of our members who have been operating safely for decades. While we are disappointed with the new registration rule and still maintain that AMA members should be exempt from registration, the rule is being implemented over AMA objections. Therefore, we want to provide you with important information about the registration rule and how AMA members can comply with the new federal requirements: All aircraft that are flown using a ground control system, such as a transmitter, are required to participate. This includes fixed-wing aircraft, not just multirotors or drones. Any pilot flying models weighing between .55 pounds (or 250 grams) and 55 lbs is required to register. You will not be required to register every aircraft individually. You only need to register yourself and can affix one registration number to all your aircraft. You must mark all aircraft with your registration number. The number can be inside the aircraft, such as a battery hatch - but should not require tools to access. The FAA plans to launch the online registration website on Monday, December 21. There is a $5 fee to register, which is waived if you register within the first 30 days. You only need to register once every 3 years. We are still working out the logistics for this process. Some details are still being discussed, including: We are seriously discussing with the FAA a system where your AMA number could be used as your federal registration number as well. At this point, this is only a proposal and details are not yet finalized. At this time, AMA members will not automatically be registered when the registration website launches next week. However, we are in conversations with the FAA about the best way to streamline the registration process for AMA members going forward. This is an ongoing process and we will continue to provide updates on the registration rule. Stay tuned to modelaircraft.org/gov, social media and your email for the latest news on the registration process. Thank you, AMA Government Relations and Advocacy Team" Regardless of the AMA's efforts to change or alter this requirement, we can expect that come Monday December 21, 2015 everyone flying at the LLFC Field will fall under the guidelines and be required to register. 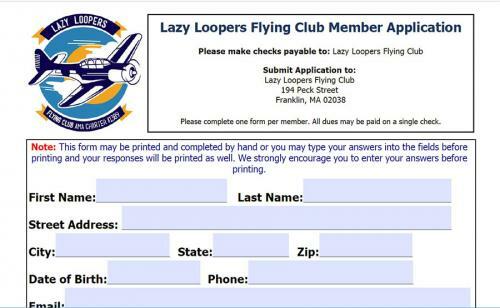 If the requirement doesn't change, and there is little reason to expect it will at this time, we may need to mandate registration as part of flying at the LLFC field. We'll keep you informed as to when or if this will become necessary. In the meantime, you can learn more about the requirements at the FAA's registration site. Save the date! Sunday November 22, 2015 at 1:00pm! It's time for our annual meeting once again. As always it will be held at the Wrentham Development Center Auditorium. You will need to enter through the FRONT DOOR ONLY. The side door will remain locked. Please make plans to attend. This is our largest meeting of the year and where we discuss any needed changes to bylaws or safety guidelines. It is also our annual officer election. There are two officers who will not be seeking re-election this year. Tom Warschal will not be seeking re-election to the Vice Presidency and Tim Bailey has decided not to seek another term as Secretary. We will also be discussing changes to the Club Safety guidelines to bring them up to date with the most recent AMA Safety Guidelines released in 2014. Our standards are based on the outdated 2002 standards. We will also be clarifying some of the rules and guidelines laid out in our Bylaws that seem to have been allowed to lapse or have otherwise been ignored. If you have questions, interests or topics you'd like to bring up at the meeting, please be on time. We'd like to keep things as short as possible so everyone can get on with their Sunday. It's that time again. Time to cook up your best dish and bring it out to the club field to share! Sunday July 19, 2015 we'll be having our pot luck at the field. Everyone is invited. The club will provide drinks, ice, and the grill. Bring enough to share and a plane to fly! 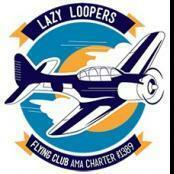 AMA open membership is required to fly.